Aerothermodynamics of space vehicle reentry, safety of nuclear reactors, noise and pollution reduction, design of aircraft engines and renewable energy systems define to a large extent the research performed at the von Karman Institute for Fluid Dynamics (VKI). These and many other topics gather young engineers and scientists from all over the world at the VKI to study, improve their skills and perform their research. Located in Sint-Genesius-Rode, near Brussels, this nonprofit international educational and scientific organization is specialized in fluid dynamics (anything which flows) in the areas of Aeronautics and Aerospace, Environmental and Applied Fluid Dynamics, and Turbomachinery and Propulsion. 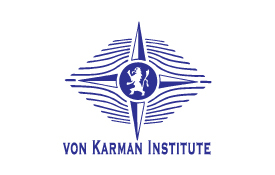 The von Karman Institute prides itself in providing “advanced training in research through research”. The VKI operates more than fifty different facilities and wind tunnels, some of them being worldunique. These facilities are widely renowned and the VKI is recognized as a worldclass research center of excellence by its peers. As an example, VKI and the European Space Agency (ESA) have signed a Memorandum of Understanding (MOU) under which VKI acts as a reference laboratory for ESA. This agreement involves 10 research staff and more than 20 PhD students in a continuous effort devoted to the present space transportation missions and the challenges of the future space explorations. The Safran group, gathering the French and Belgian aeroengine manufacturers, recognizes the VKI as one of its main partners of research.